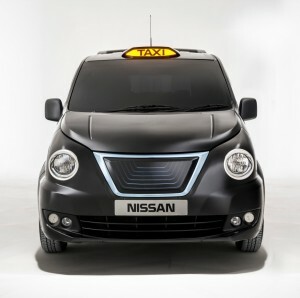 Nissan’s new Taxi for London will hit the capital in December with a zero-emission electric version to follow next year. Based on the NV200, the bespoke vehicle has been redesigned to better reflect the iconic traditional black cab, following feedback on an initial model revealed in August 2012. It has been developed in Paddington by Nissan Design Europe (NDE), and will be paired with a 1.6litre petrol engine and automatic gearbox. The NV200 Taxi for London is part of Nissan’s global taxi programme, which also encompasses New York, Barcelona and Tokyo. Darryl Scriven, Design Excellence Manager at NDE, said: “Having already overcome the unique technical challenges presented by the development of a new Hackney Carriage for London ahead of our launch of the vehicle in August 2012, we turned our attention to making the vehicle look the part. “The main challenges were concerned with making sure customers can easily recognise it as a taxi. “Being in London, we were able to go out and talk to cabbies about what was important to them as well as look at the vehicle from a customer’s viewpoint. Andy Palmer, Chief Planning Officer and Executive Vice President of Nissan Motor Corporation, added: “Since we launched our Taxi for London in August 2012, we have worked closely with the Mayor’s office and associated stakeholders and interested parties to ensure that Nissan’s new cab not only raises the bar for both driver and passenger, but is also as instantly-recognisable as its legendary forebears.